Forsbergs Metallduk AB was founded in 1913 and, today, is a family company with nine employees. Over the years, we have gathered the experience that has made us into a company developing in step with time. Our employees have excellent craftsmanship and great competence in the field of metal cloth. 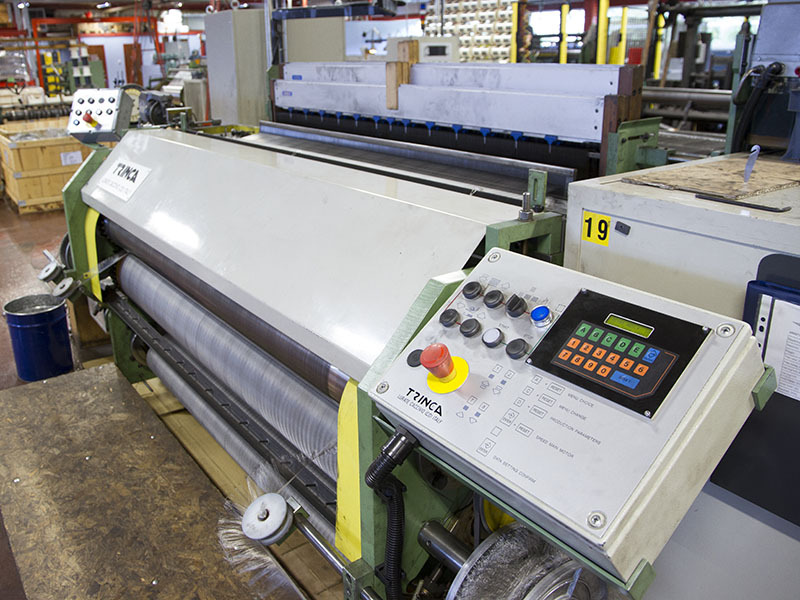 The know-how of the staff, combined with the investments the company has made in premises, machinery and environmental management, has taken us to where we are today – a quality-conscious and service-minded supplier of metal cloth. The looms in our machine fleet weave metal cloth with or without selvage. Modern, computer-controlled, machines for shuttleless weaving and classic machines for weaving with shuttle. 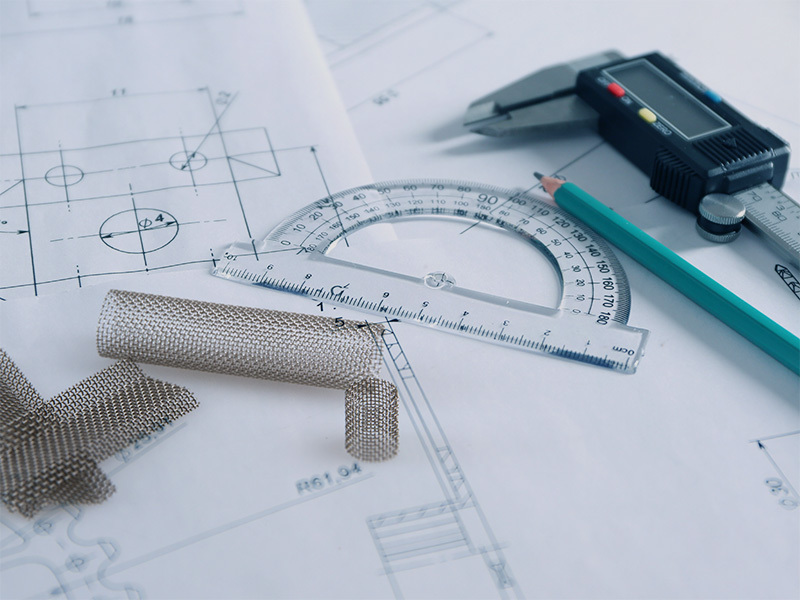 Over the years, we have built solid experience of metal cloths and, in this way, we have developed the highest quality in our products. With our quality certification, you also obtain, as a customer, a guarantee that our products maintain the highest quality. At Forsbergs Metallduk AB, it goes without saying that we care for the environment – both the external and our own work environment. For this reason, we are environmentally certified and also a shareholder in wind farms. 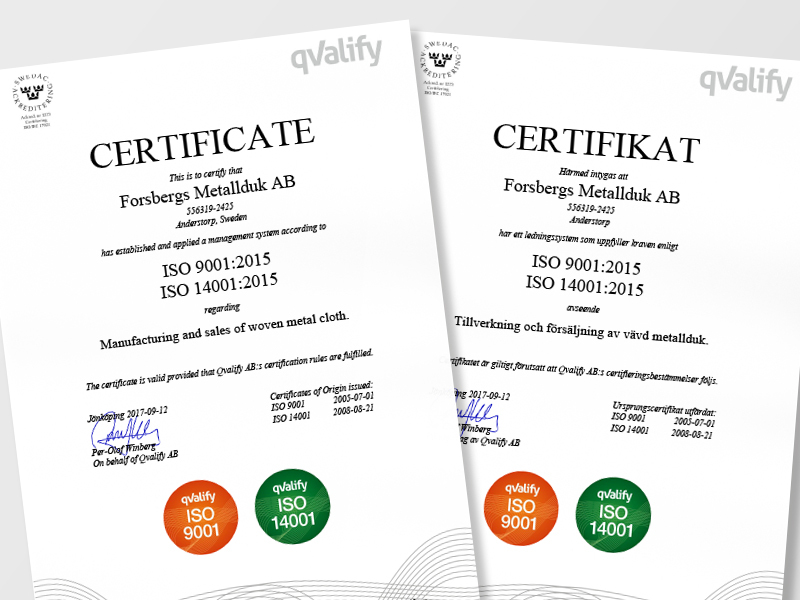 Forsbergs Metallduk AB is quality certified according to ISO 9001:2015. We are environmentally certified according to ISO 14001:2015. All of our materials are 100 % recyclable. 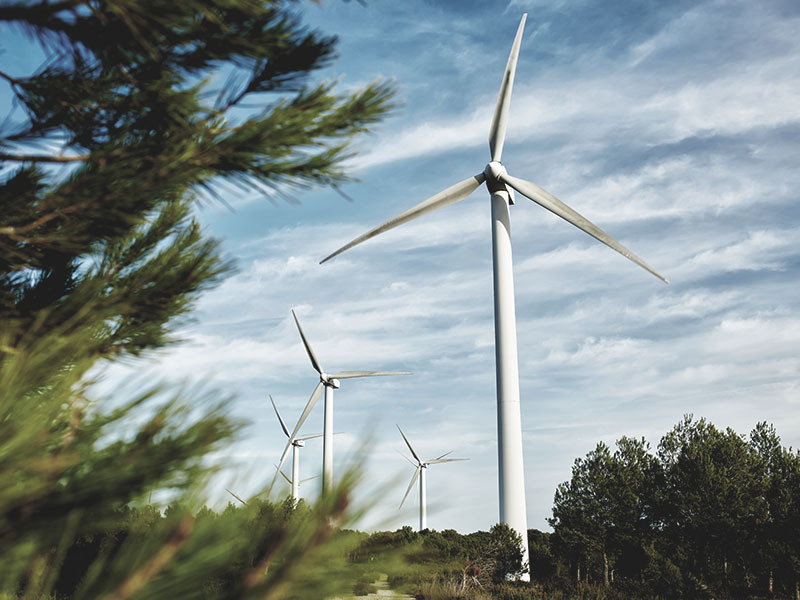 To contribute to the development of environmentally-friendly energy alternatives, Forsbergs Metallduk AB is a shareholder in wind farms. 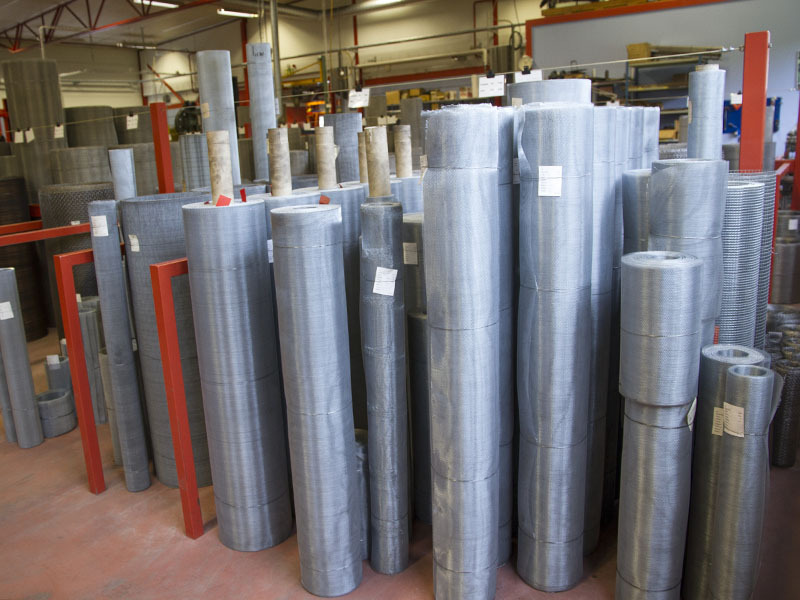 We guarantee fast and reliable deliveries of metal cloth from our factory in Småland. 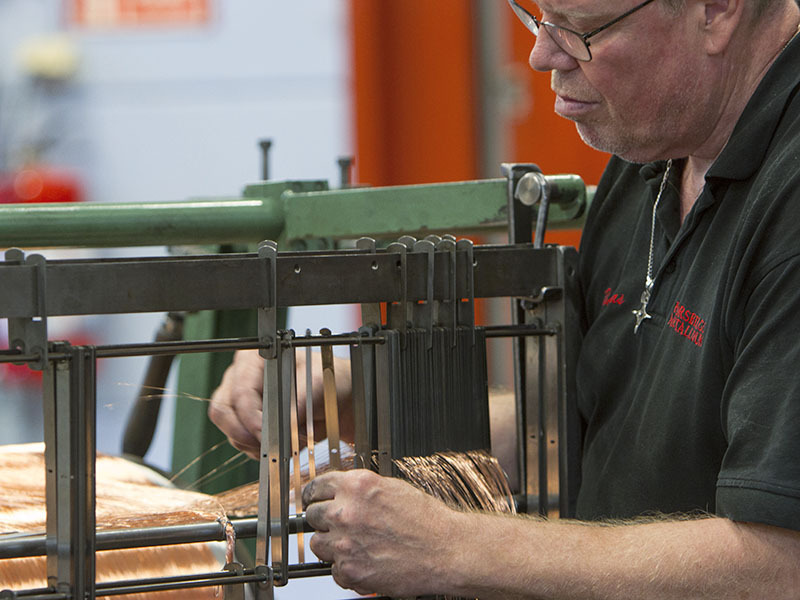 Thanks to our completely automated production lines, we can offer short lead times and high quality products. Our off-the-shelf standard products are usually dispatched the same day we receive your order and we do everything to give you, as our customer, the best possible service. We stock a large number of standard dimensions and we can also stock customised special dimensions. To guarantee fast and reliable deliveries to our customers, we cooperate with certified forwarding companies and courier firms. Do you want to know about metal cloth?